You may have seen that I had bought some Chi-Com aftermarket fairings for my k5 1000- that did a stoppie into a tree at a high rate of speed. Funny as it was unintended- I don't ride stoppies. 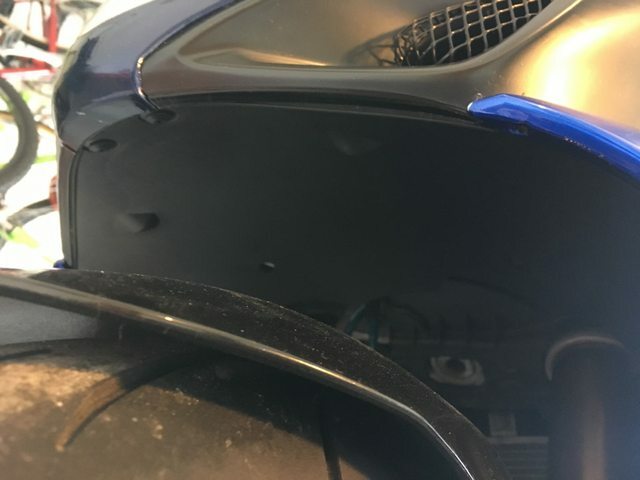 The crash destroyed my tank, withshield, Left mirror, Left upper arm of my front fairing, and left side pieces, and left rear fairing also. 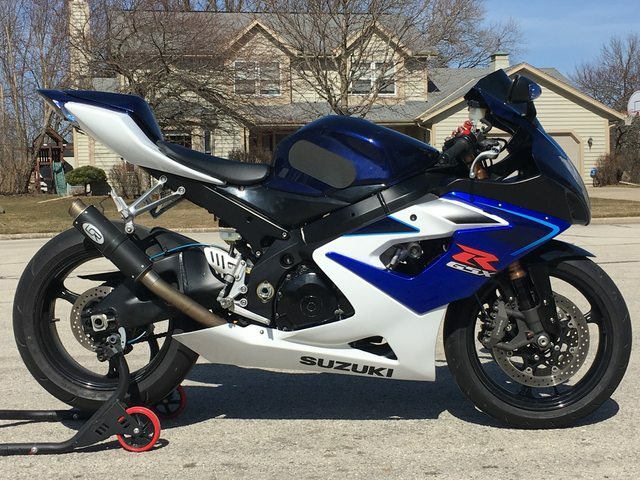 So I researched, looked at reviews- and decided to go with NT Fairings NT FAIRING. I had ordered them off a FleaBay add. It came shipped in one box, with fasteners- essentially identical to the color of a Blue K5/6 Literbike. Each piece was wrapped in a thin padded wrap in the box. There were no issues with the condition upon delivery. The shipping was around a week. I had already sold my Right side fairings - making this next to nothing. I think I got it for a little less than $300 USD. I got a used blue K5/6 gas tank off FleaBay in a separate purchase. I got an inexpensive identical Left mirror off Flea Bay also. The OEM replacement is about $175 for each mirror, I think I paid $40 shipped- for identical- plug and all. 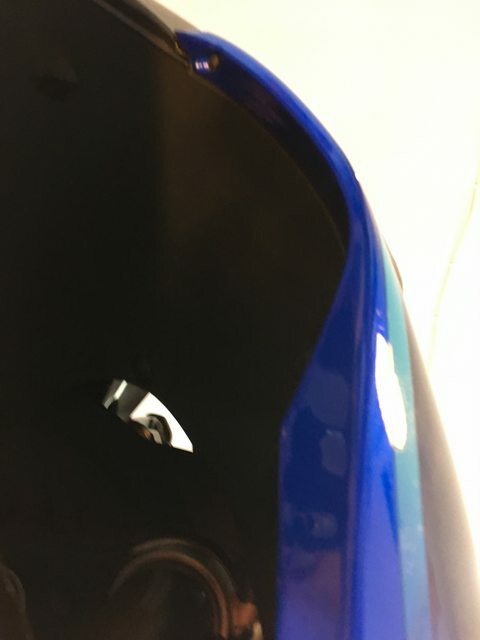 When I compared parts such as the front fender- it had the same markings inside!? And felt to be of similar ABS-injected plastic. The paint quality on the Blue pieces is not the same as the OEM however- The chi-com piece is much more prone to nicks and scratches. It came in really nice condition however- you have to be much more careful when installing tight pieces. I'm not looking forward to the bug marks at 100mph+, I however will be adding some clear to help out. 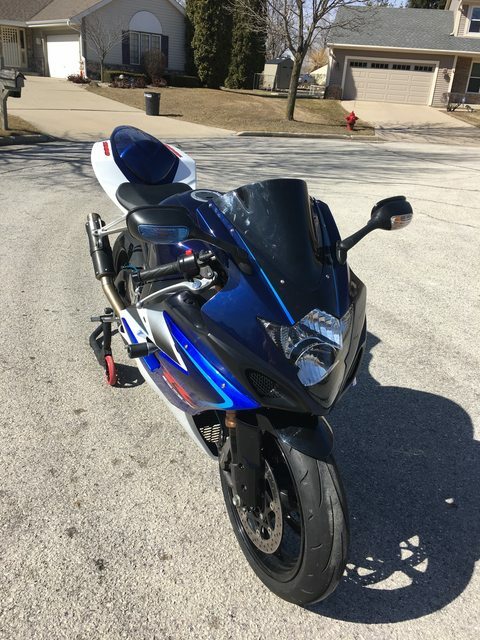 The paint is certainly not as good as the OEM- on pieces such as the front Blue fairing- gets dings and nicks MUCH easier than the OEM. The white pieces seems to be as nick/scratch resistant as the OEM however!? The black pieces are not painted, and are scratch resistant as well. 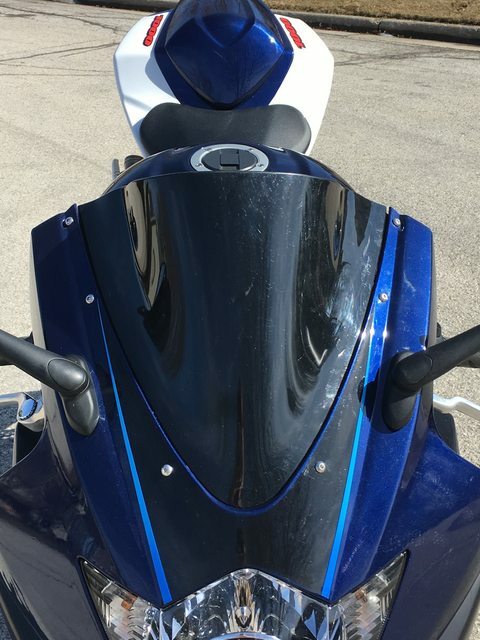 When I compared the fairing pieces I still had with NT fairings- they appeared identical- such as the air ducts, the covers for the air ducts, rear fairing, front faring, etc. All the holes, tabs, etc. the same. Fitment was really good- bordering on superb- which was easy seeing as the pieces appear identical to OEM. I have the fairing re-do complete except for installing the side fairings onto the bike. It's so cold in the garage, (15F outside currently), that I'm waiting for a warmer day so all the plastic tabs on the upper sides will be more compliant and less likely to crack. I think I'm going to tape off the blue sections and add a coat or 3 of clear coat to it. Just not sure what type of clear coat i should use i.e. lacquer, acryllic, enamel? I'm going to email NT fairings about that- and wait till it warms up to apply it. Although this kit did come complete with fasteners, I did use many of my original ones I had on hand, as it seems not all the fastening parts are there- like the clip on nut holders for the rear dome and bolts for the rear dome holder/latch. The kit DID come with the holder latch pieces and rear dome however. It came with a sticker set that is kind of a joke, but I already have some links to some nice looking stickers/decals that @rv6john sent me. Are all the Chi-Com fairings all from one plant- with multiple marketers/brands as is often the case? I don't know? NT fairing was certainly worth it for me thus far. I'll post an update when I do install the sides. crashed #1.0 on 5/7/17; #1.0 Now riding well again! Last edited by Todd_Sails; 12-08-2018 at 05:59 PM. I'll take a guess and say all the fairings have either white or black paint applied and baked on when they are made then accent colors are added with a lesser paint process as each order comes in. You might just give it time and maybe the paint will harden further. It's a good question what you might spray over it for more protection, but not knowing what paint the blue is, you risk lifting or crazing it with the wrong material. Maybe apply the thin 3M clear protector material over it? I finally got a return email from a Jason, at NT Fairings! He did apologize for the several day delay in his reply too. He says his 'factory guys' answered the question with -a picture of the product. A Chinese product labeled ACS P2011-9016. It had some other Chinese writing on it too. The pictures on the website are exactly like the ones he sent- it's the right product. Ain't the interweb things grand? Right clicked and translated to English. It seems to be an enamel product. So, when it warms up, I'll be taping off some areas and touching them up with some Rattle Can Clear Enamel! I do plan to post some nice pics on this thread when it warms of enough to get the side fairings on there too. Last edited by Todd_Sails; 12-11-2018 at 07:38 PM. I'll look into it, thanks! We already get so much and so often from Amazon, very convenient. Finally! 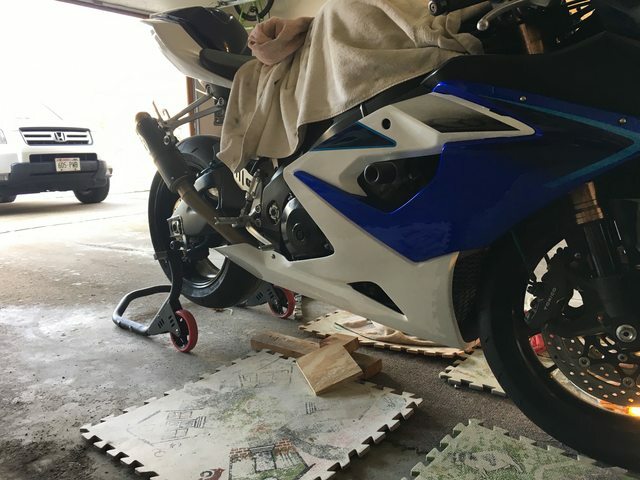 I installed all the fairing pieces on my bike #1. I only had the sides to just put on, and the little pieces on the tank sides. Went on well, actually fit really nice. Now, to sell one of them! I never got around to clear coating it, oh well. I got some OEM-like decals off FleaBay- thanks for the links John. This is the final product. The Red plastic ball on the Left Rear fairing is attached to the release cable for the rear seat/dome. I had lost that key mechanism in the crash, and use this method which worked. All in all, these fairings went together OK, and fit well. Yes, it took to time and TLC- but they do look and feel OEM like. These have the K6 decals, which is what this K% had on it anyways from previous owners. The bike on the right in the pic is the NT fairings. I had read a LOT of threads on ChiCom fairings. Some not so good too. 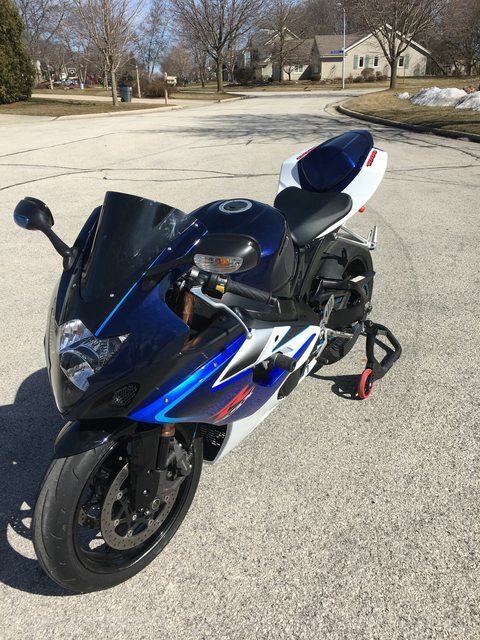 I had decided to try these NT fairings for the fact they were painted, came WITH fasteners, and matched what I wanted well. The most difficult fit was getting the headlight/lens thing in there. With some careful persuasion, I got it to fit well, OEM like. 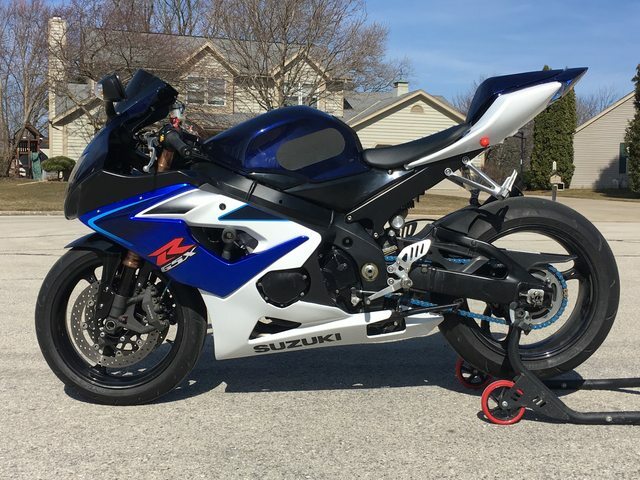 I highly recommend these NT fairings for a replacement set of fairings. 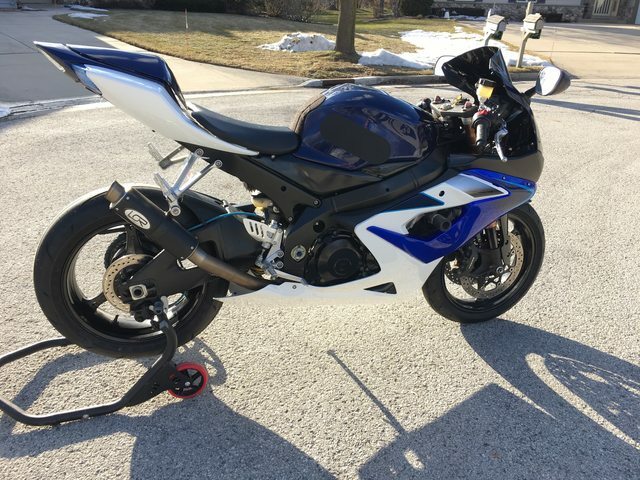 I was able to sell my good/ entire right side fairing off Craigslist- which almost paid for the NT set! Which avenue did you use to sell your bike? I’ve been trying to sell my K7 and the only hits I have gotten were all vin check report scams. I have used CycleTrader and Craigslist (spam expected). 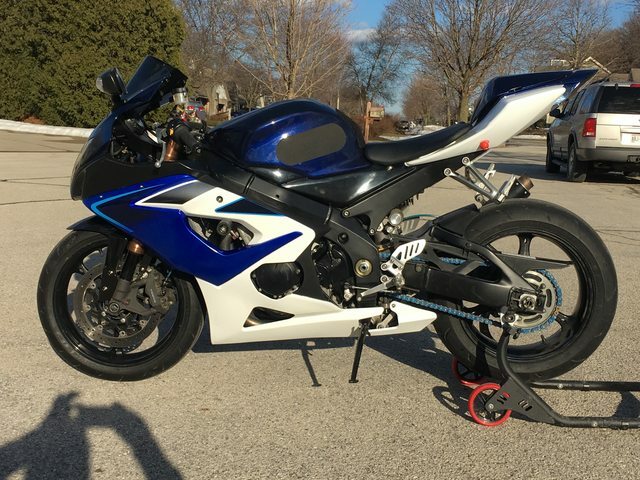 I’m hesitant to list on FB Marketplace because I don’t want any lowball offers of $3000 cash today for a bike that is worth nearly double that. 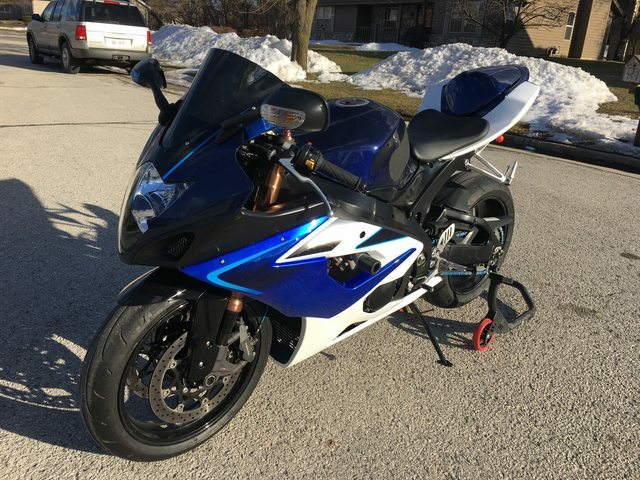 I sold my L3 on cycletrader. Got 400 less than my asking price. I did the paid option so I got more pictures and such. Took about 2 months to sell. I’ll try that route again. I’ll also post on the WERA forum (where I found my other K7). Tried to post it here but the admins never approved my ad in the classified section. If anyone knows someone looking for a K7 1000 near Chicago, let me know! I bought my 750 through Cycletrader. The paid option was the deal maker. Unpaid will have your listing out there, but if you want to move it, you should pay. I'm pretty sure he saw it on CL. 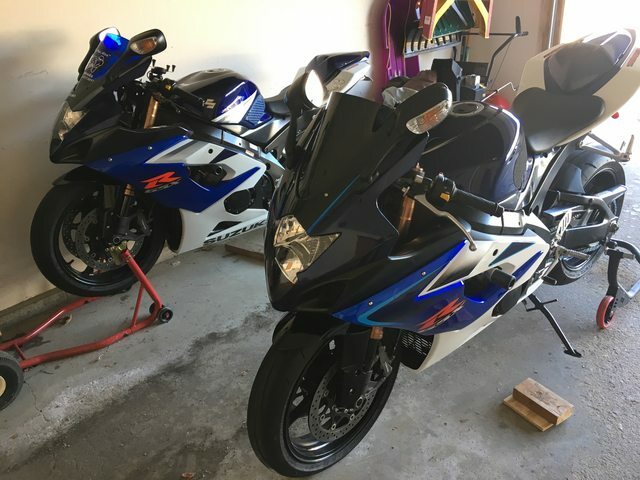 I had my 2 bikes listed there, until one sold and kept the other. I also had them posted on a few WI Motorcycle FB groups too.